Christos is a life-long Boston Children’s Hospital patient. 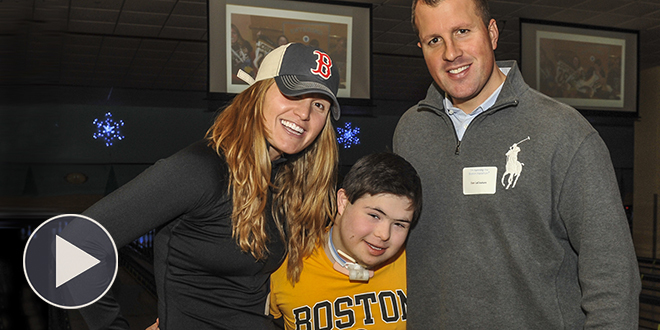 Through the Miles for Miracles Patient Partner program, he’s been paired with runners, Chrissy and her brother Dan. When patients partner with our runners, the goal is to form an inseparable bond. 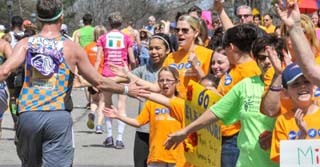 Our runners look to your child as inspiration and motivation while training for their race. Matches are encouraged to communicate frequently and even get together! Patient families share their experience with the hospital while runners share their training updates. These friendships provide distraction from hospital visits, build self-confidence and connect participants to the #1 pediatric hospital in the nation in an uplifting way. Become a Team Boston Patient Partner! You’ll be matched with a runner, invited to a pre-race celebration in Boston, receive t-shirts and have an opportunity to fundraise.